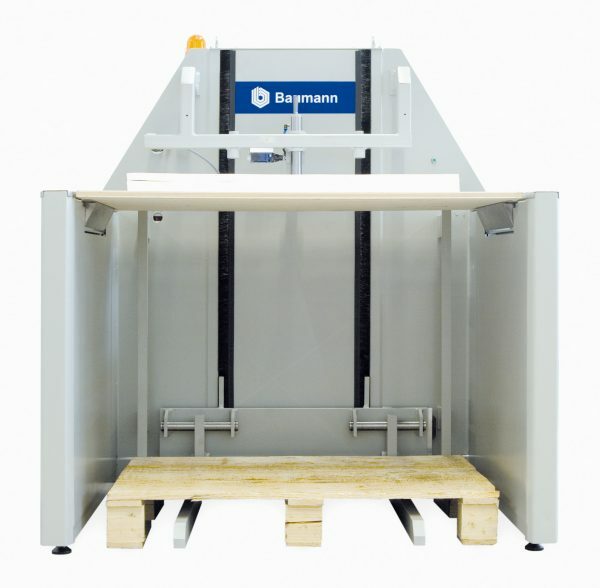 Baumann air board lifts are designed to buffer prejogged lifts prior to cutting. Typically set up as part of an offline jogging system, where the jogging operator will create prejogged multiple lifts then transfer them to the paper cutter. At the paper cutter cutter we can either install another air board lift to manually feed the cutter from the front or add a gripper system to automatically load the prejogged lifts into the rear of a paper cutter.